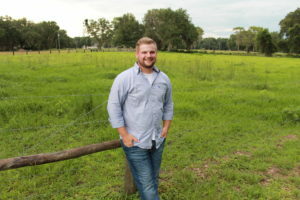 Matthew is a sophomore at Connors State College in Oklahoma with a plan to transfer to the University of Florida studying Agricultural Education and Communication, specializing in Communication and Leadership Development. He currently serves as an Agriculture Ambassador at Connors State College and is a member of the CSC Beef Show Team. Through his years in the FFA he understood the importance of sharing the message of agriculture and has found a passion for it. His career goal is to continue to share the importance of agriculture through marketing and communication.